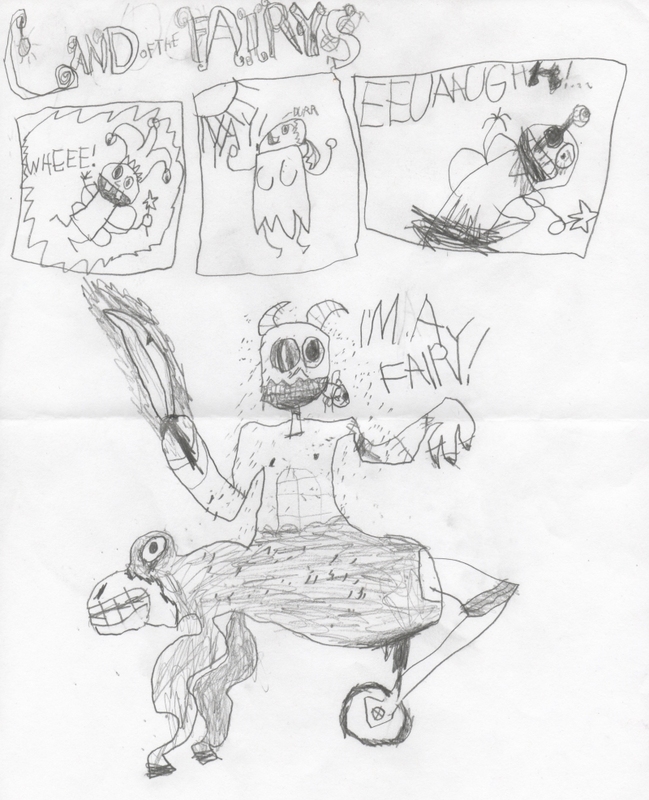 Tinkerbell as one could possibly get. 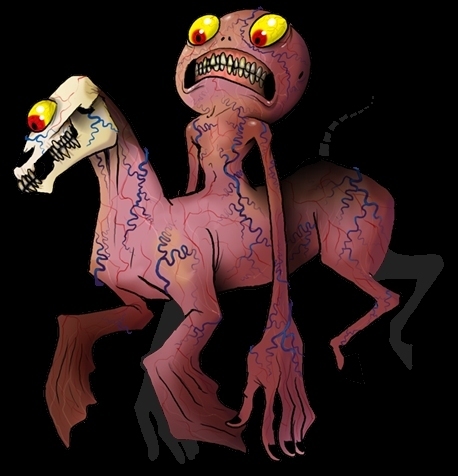 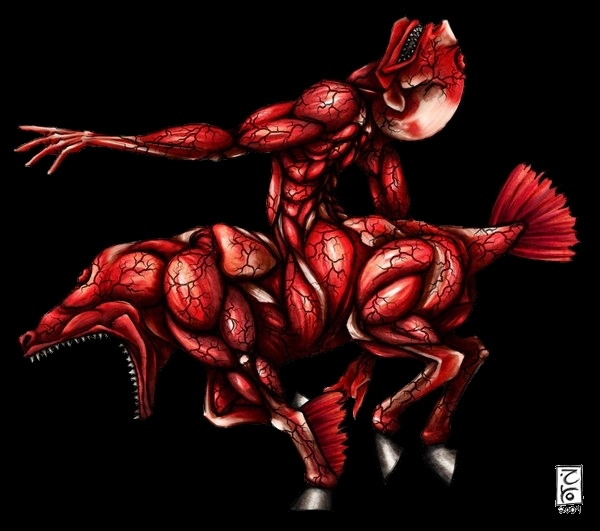 sometimes horse-like, sometimes man-like, but most famously a fusion of both; a legless "rider"
veins and raw muscles plainly exposed. 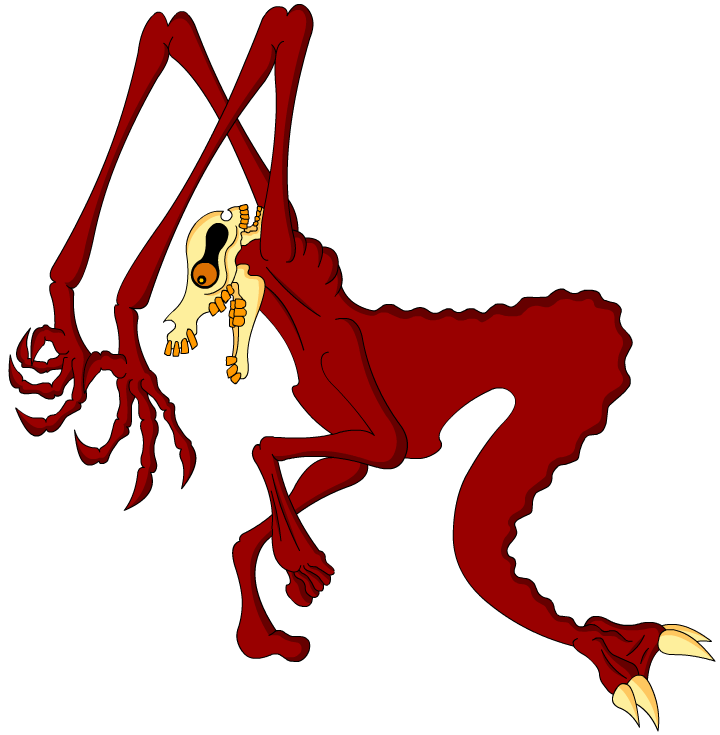 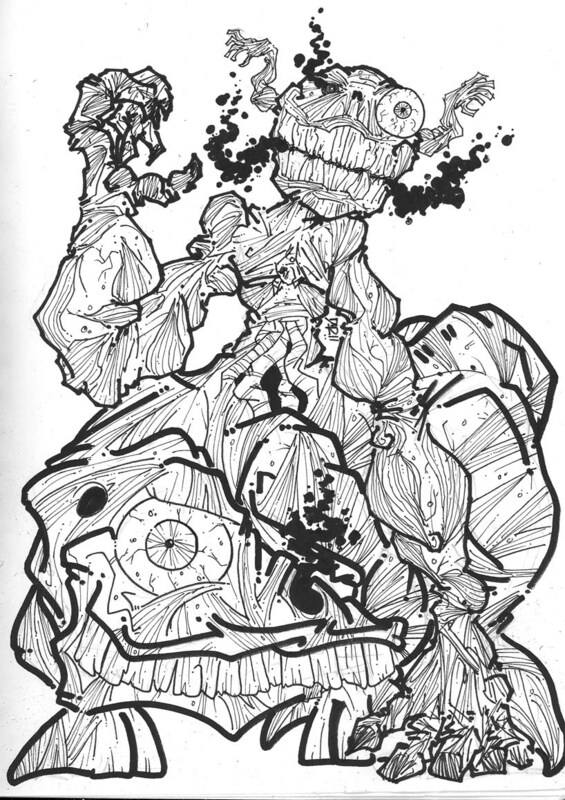 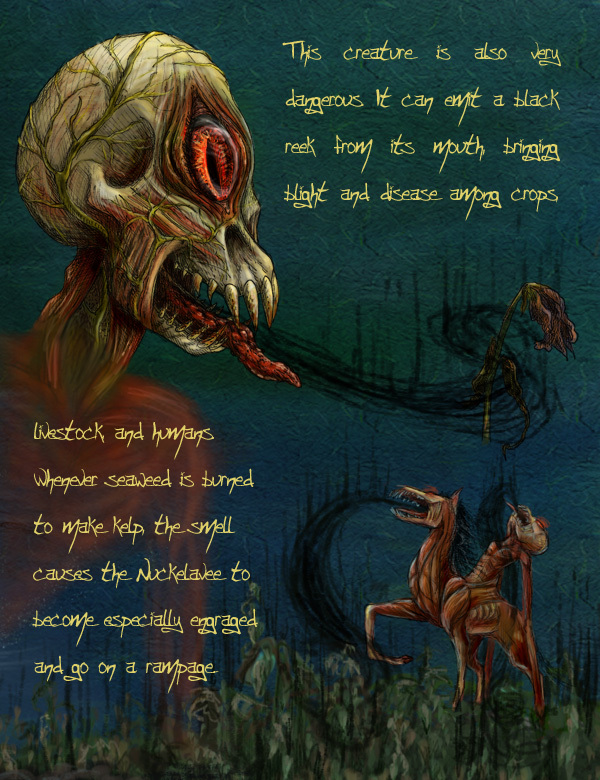 with hideous teeth and fetid, filthy breath that struck all living things with disease. 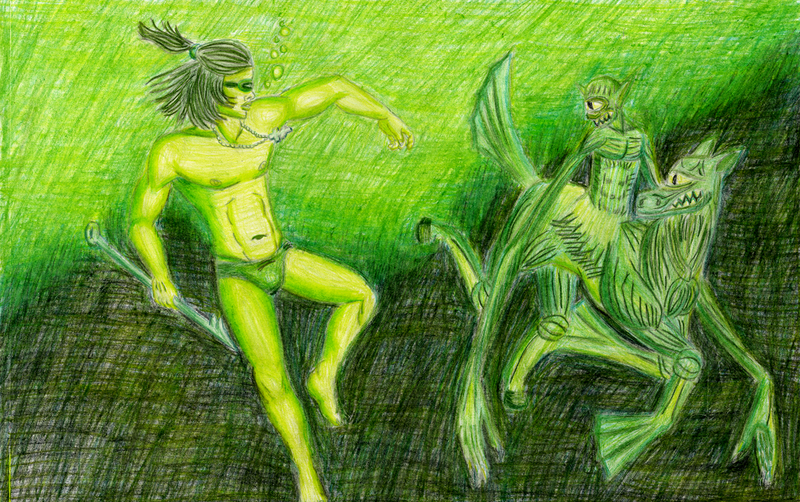 lift the curse of mortasheen and drive the demon back to the briny depths. 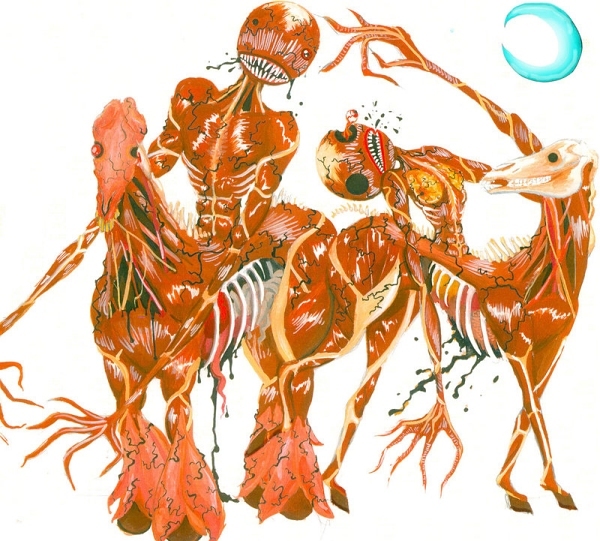 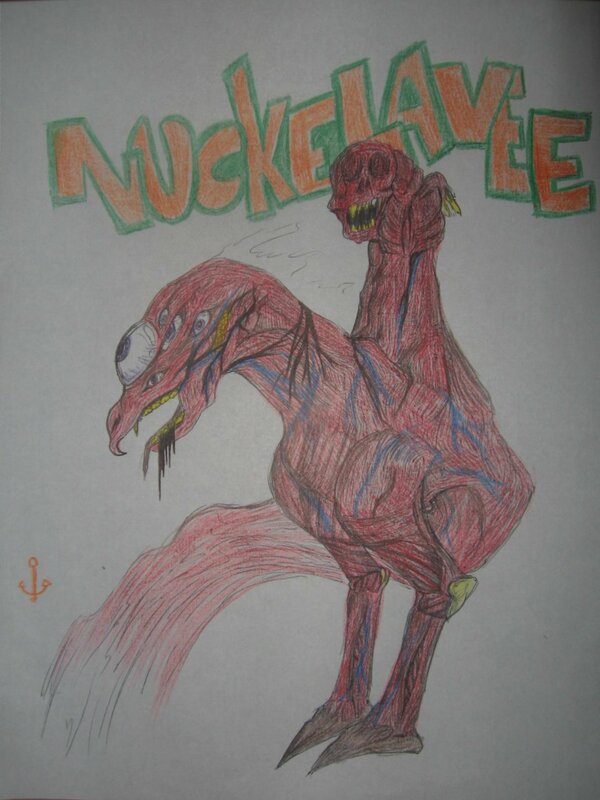 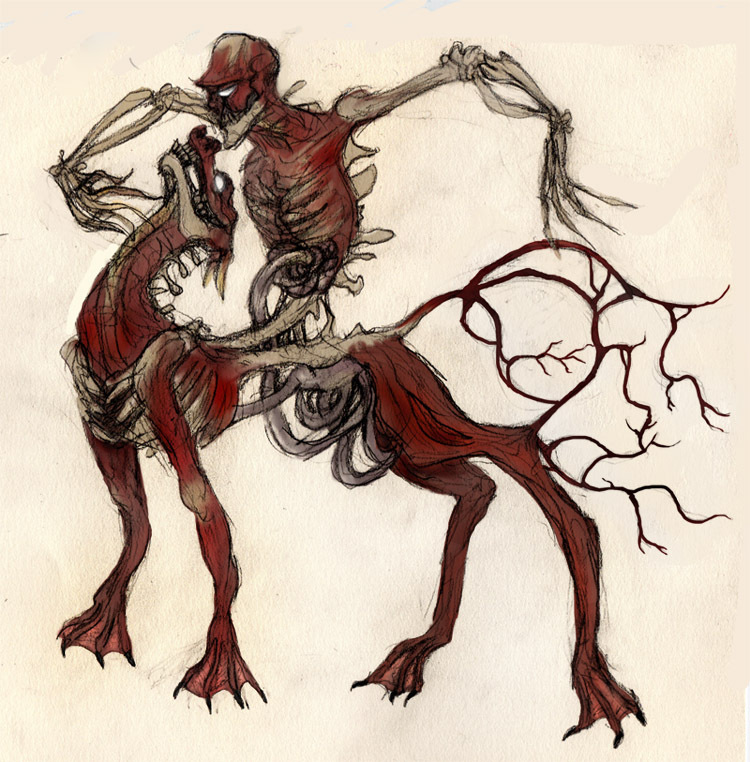 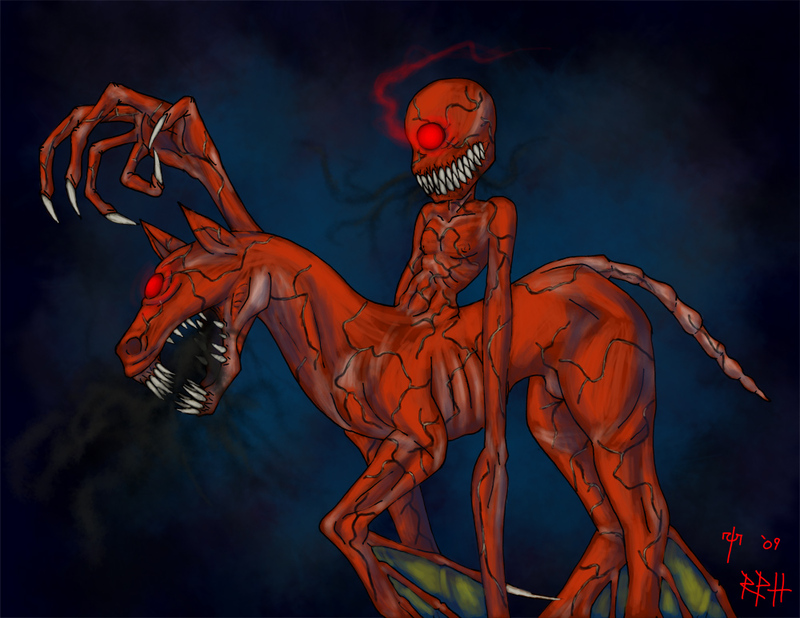 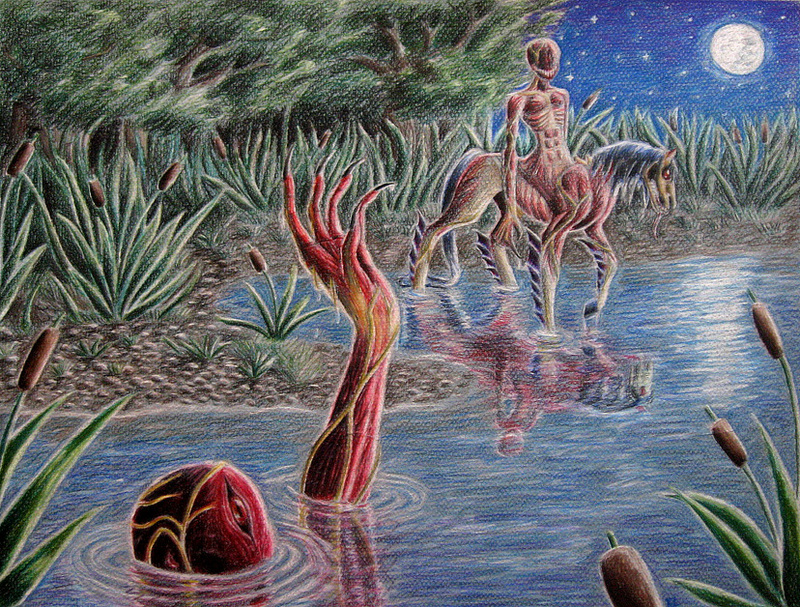 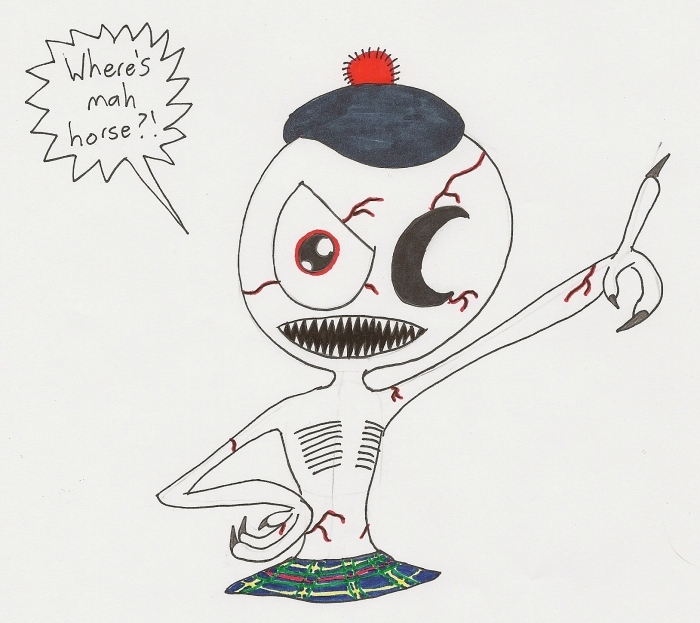 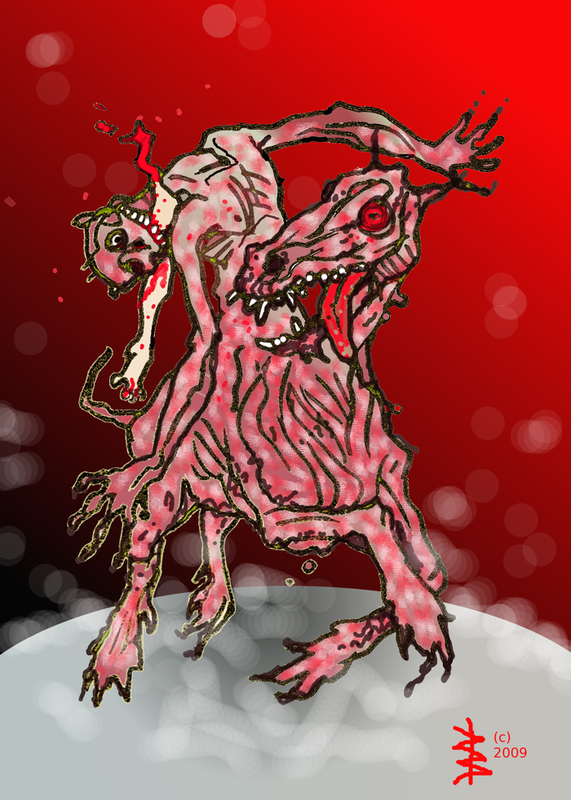 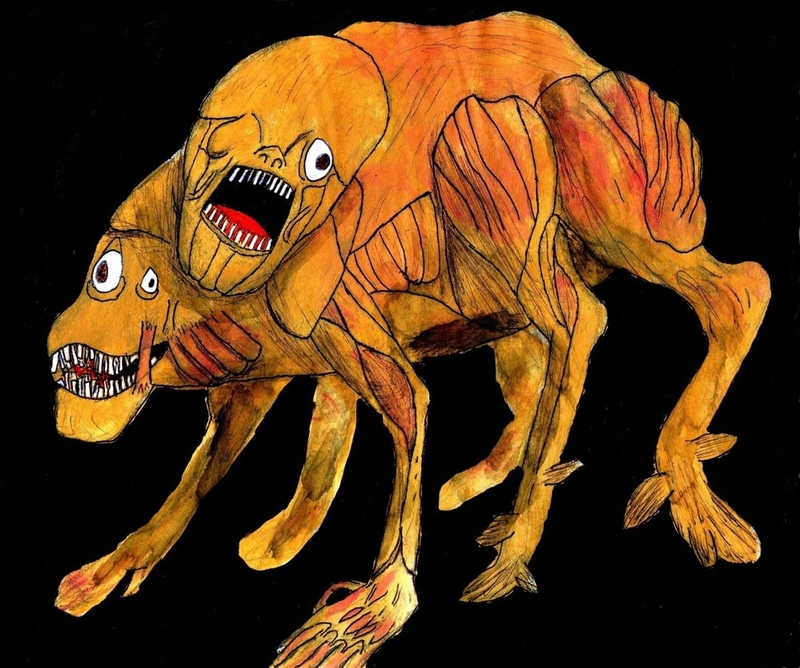 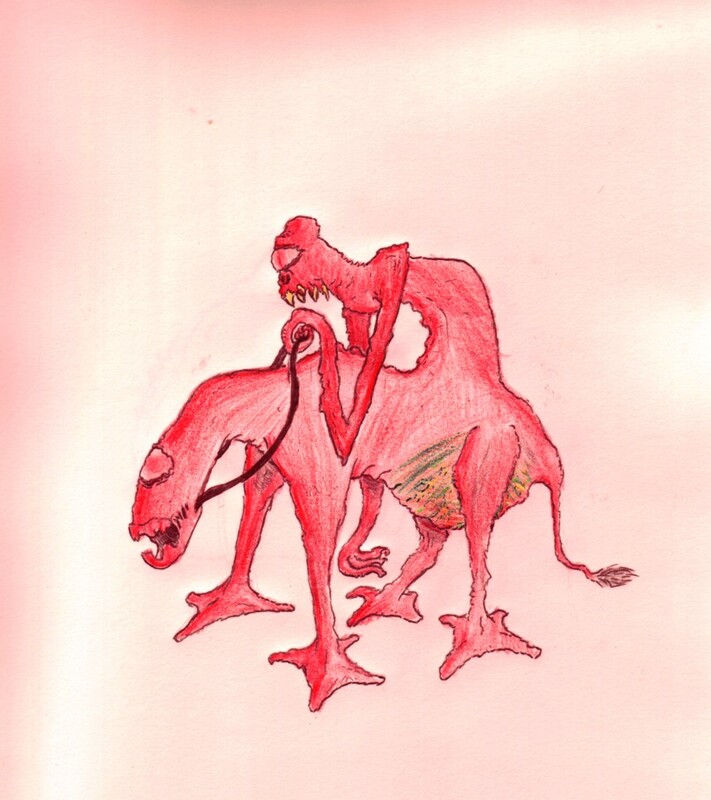 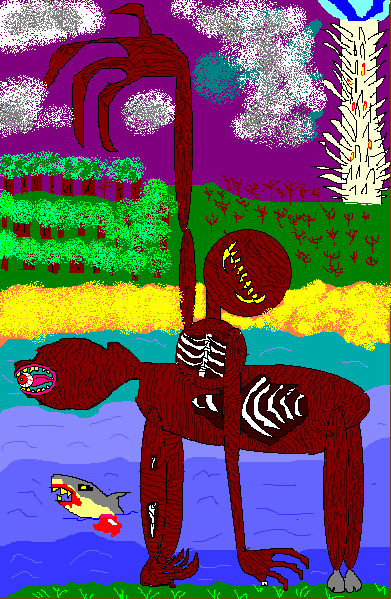 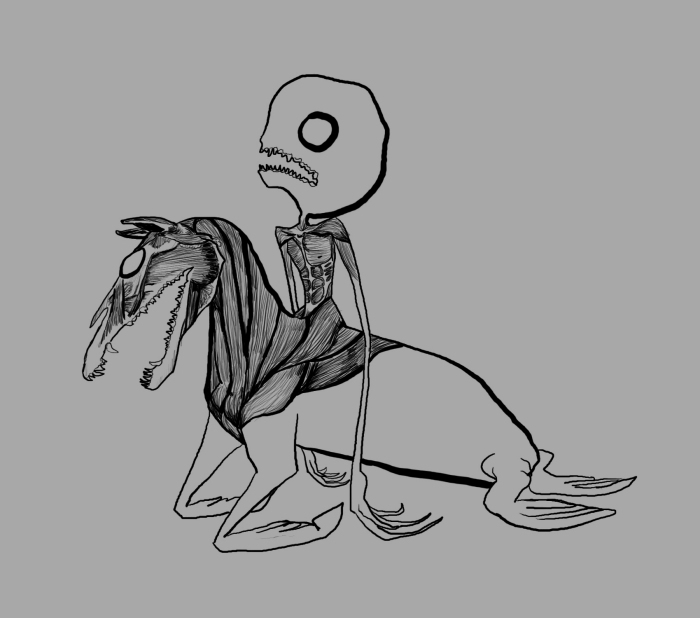 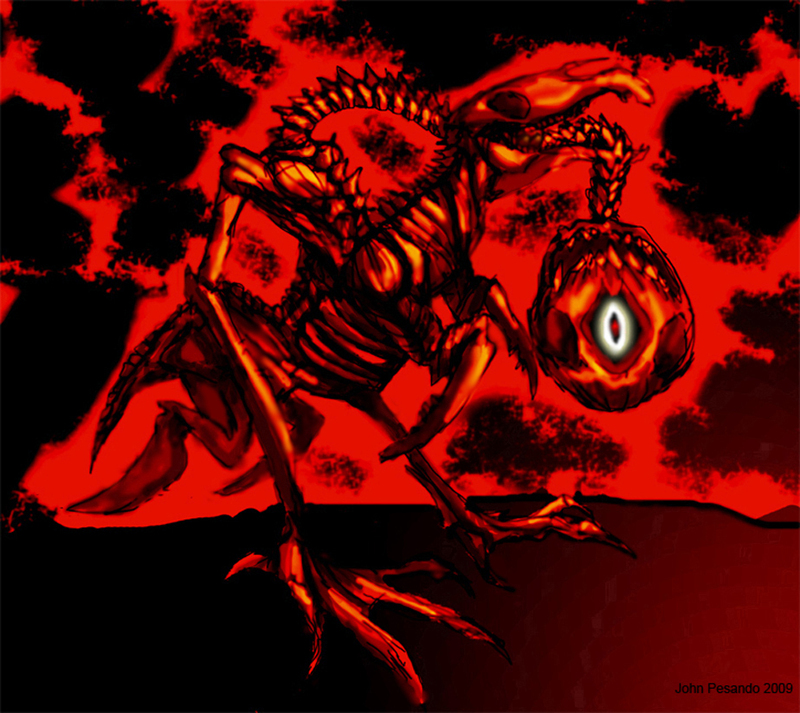 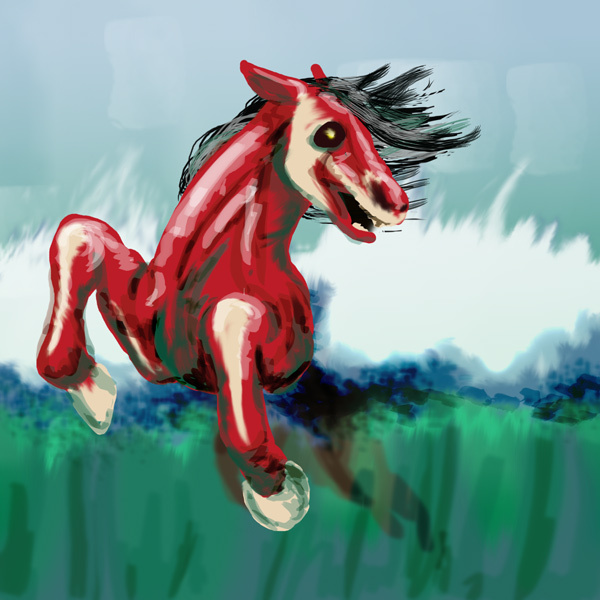 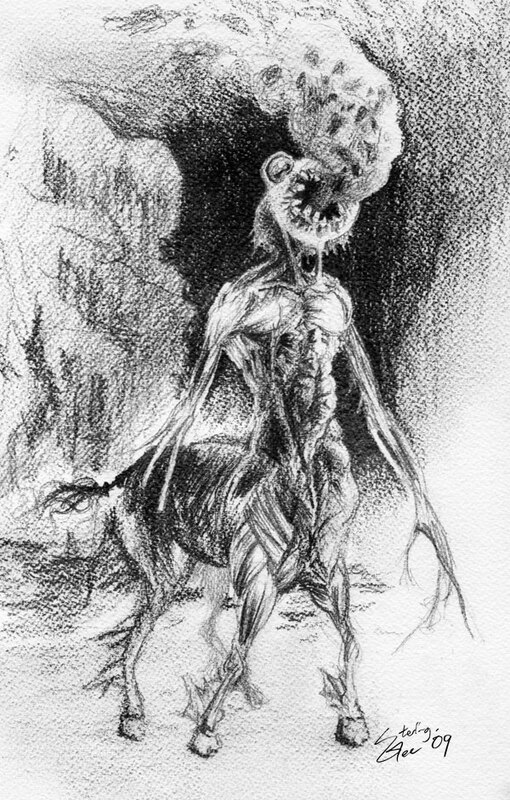 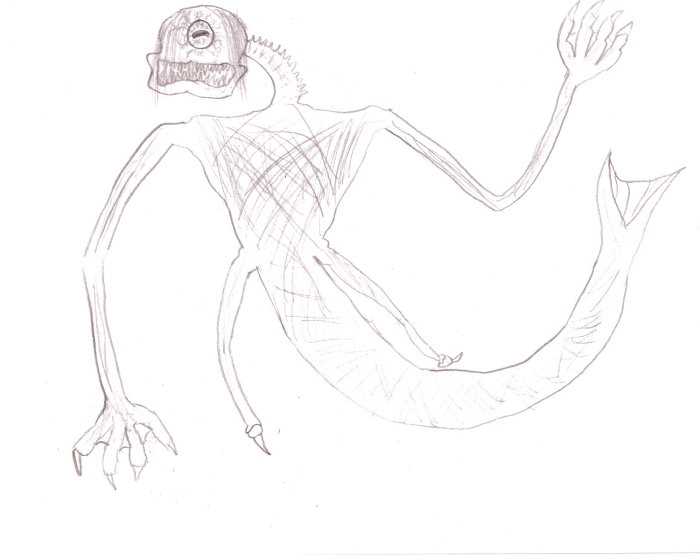 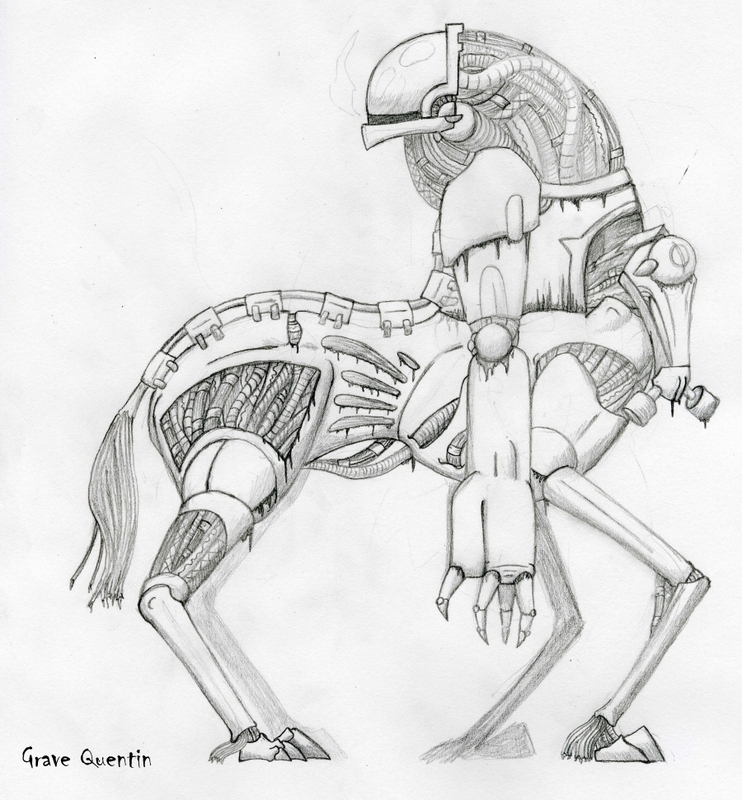 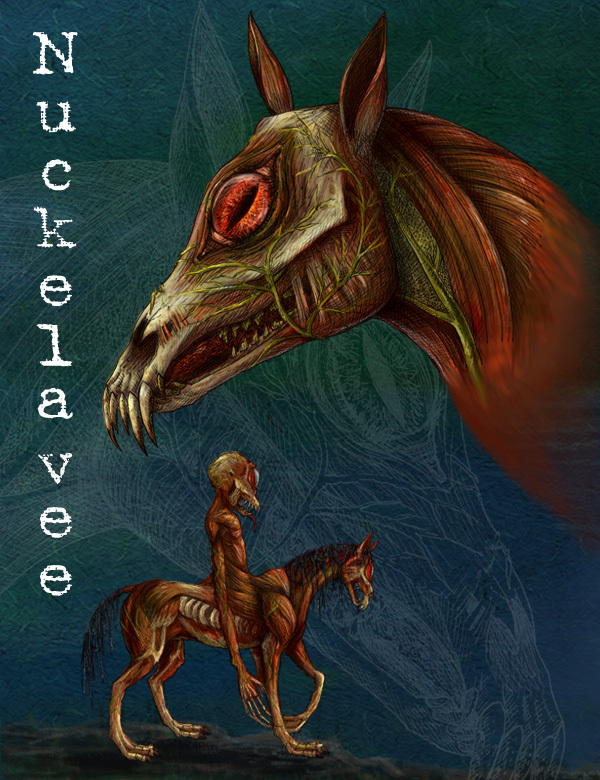 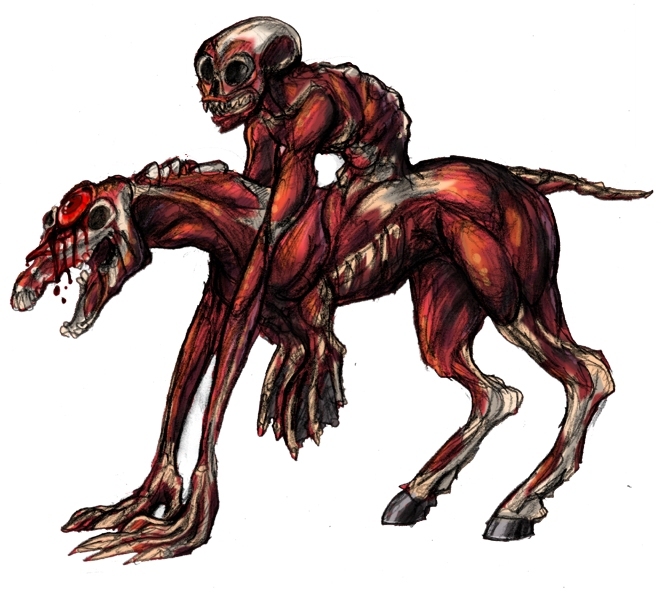 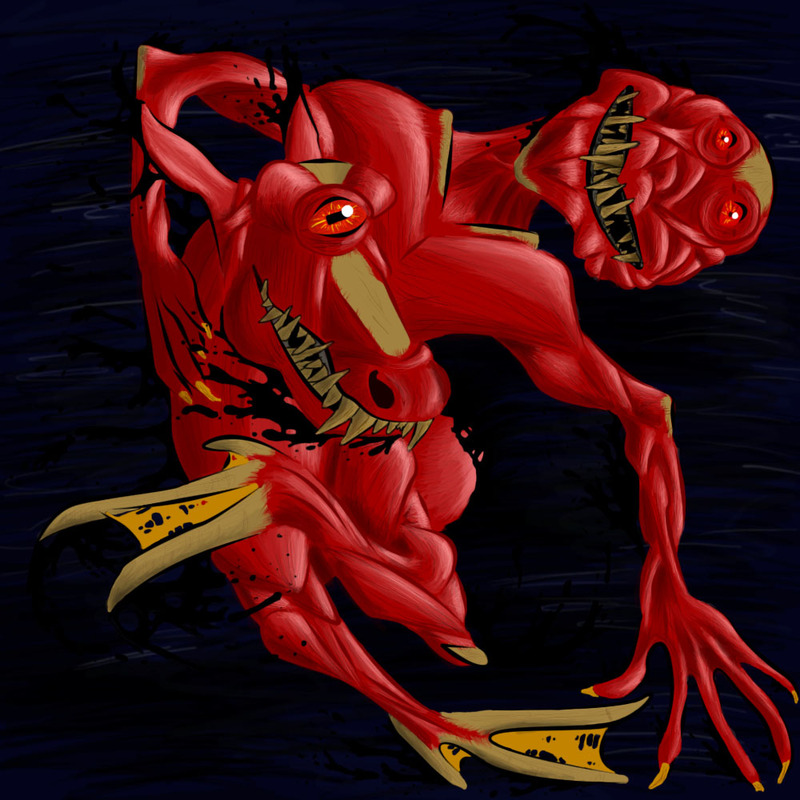 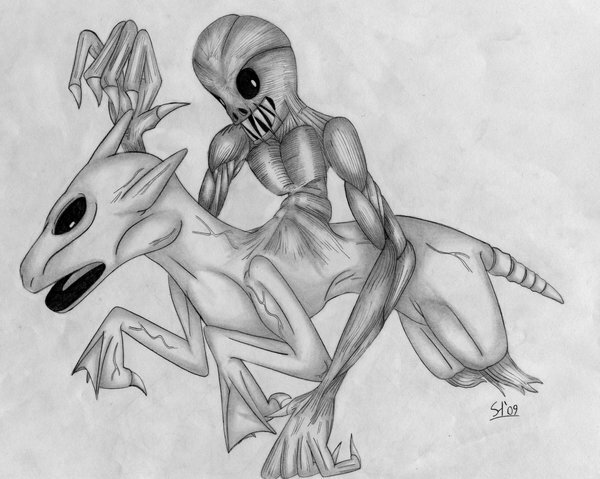 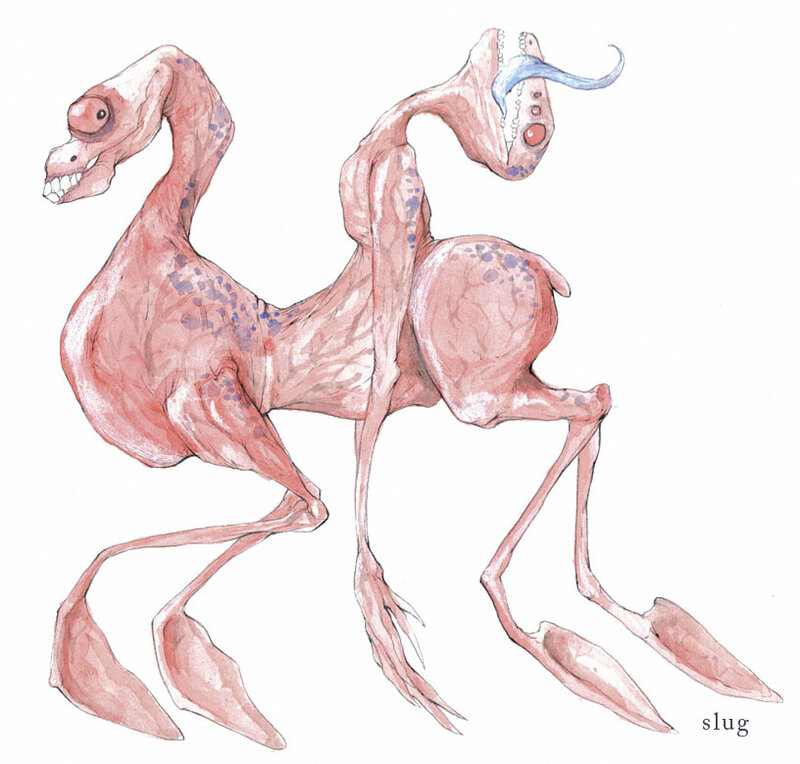 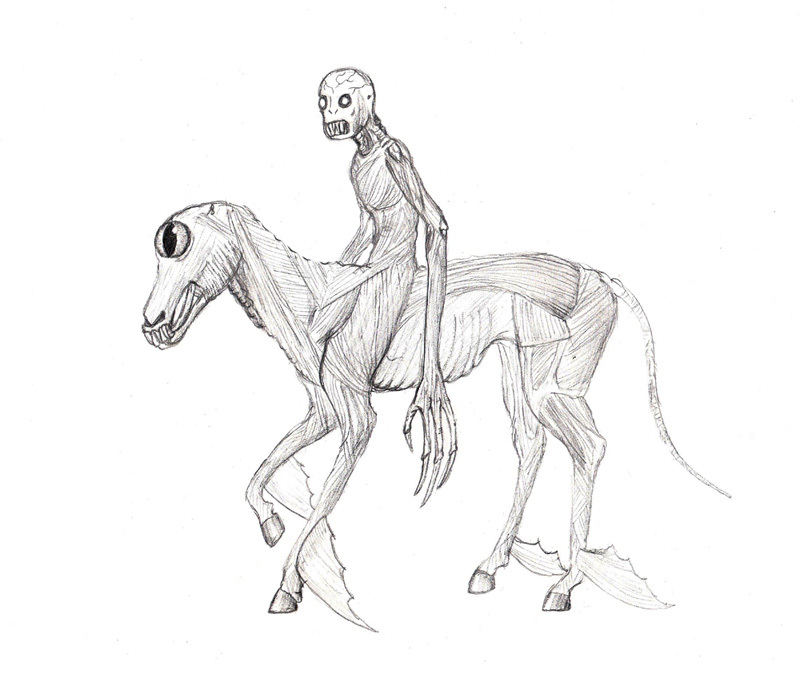 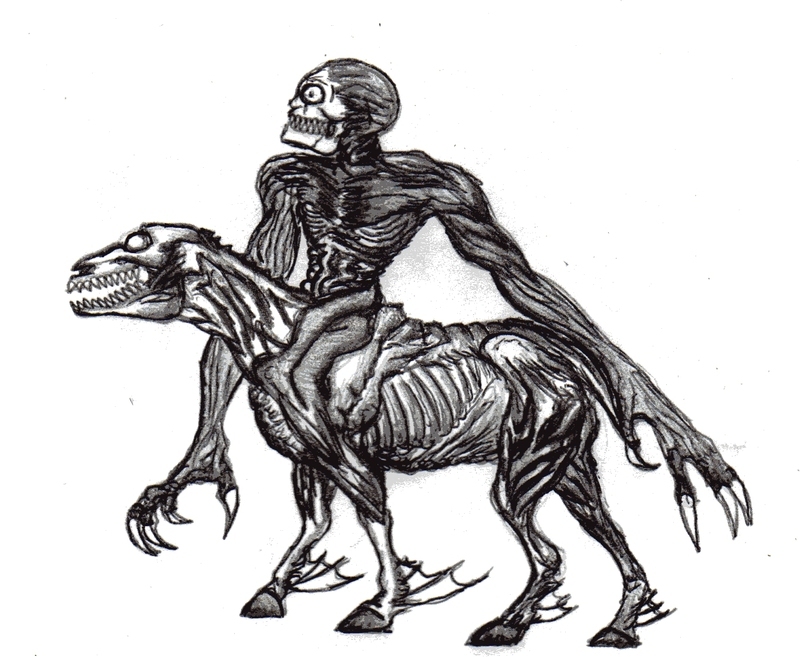 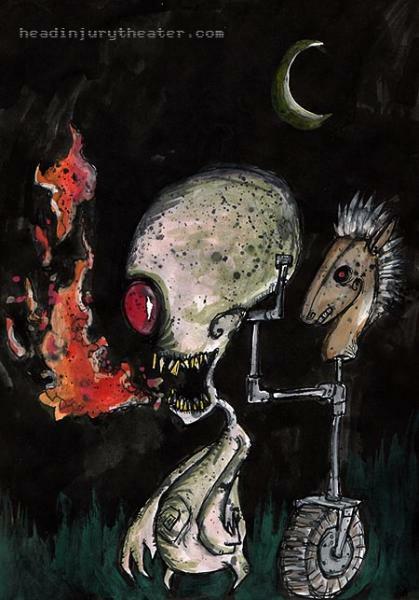 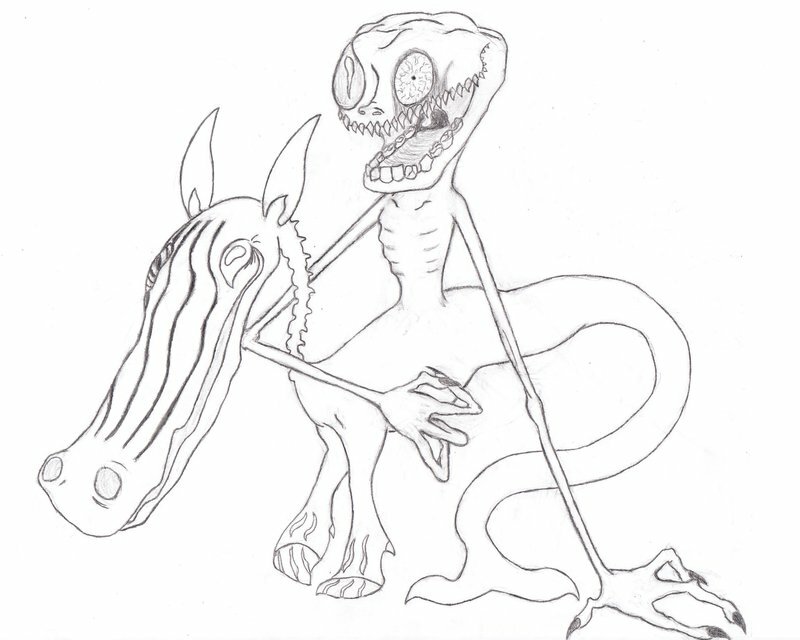 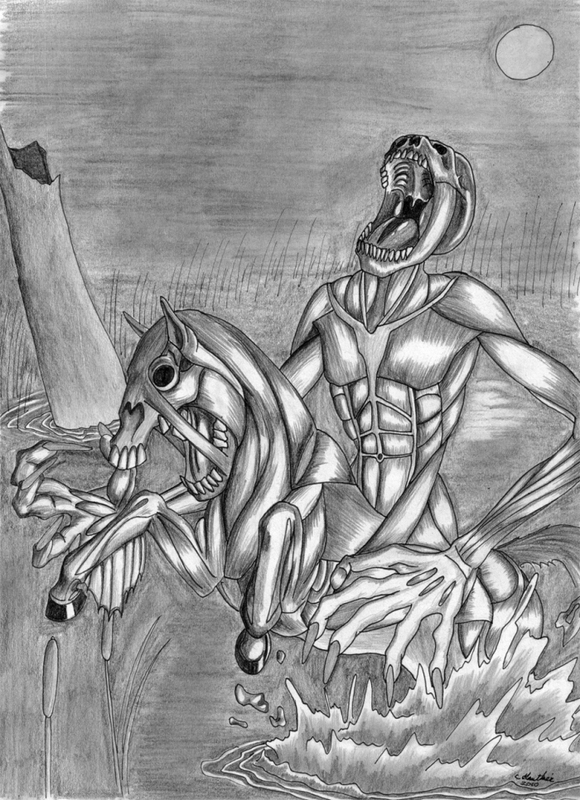 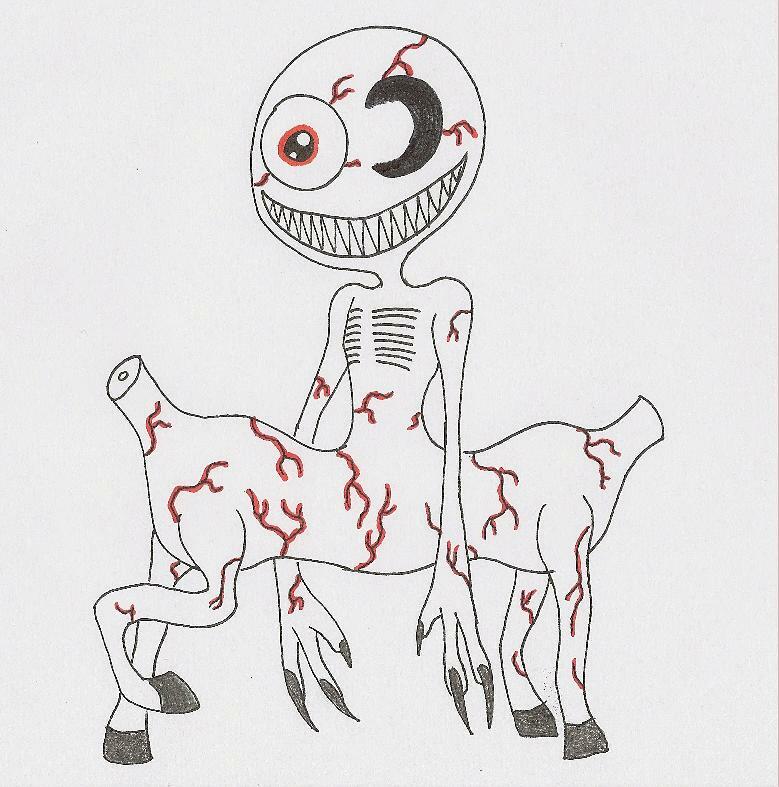 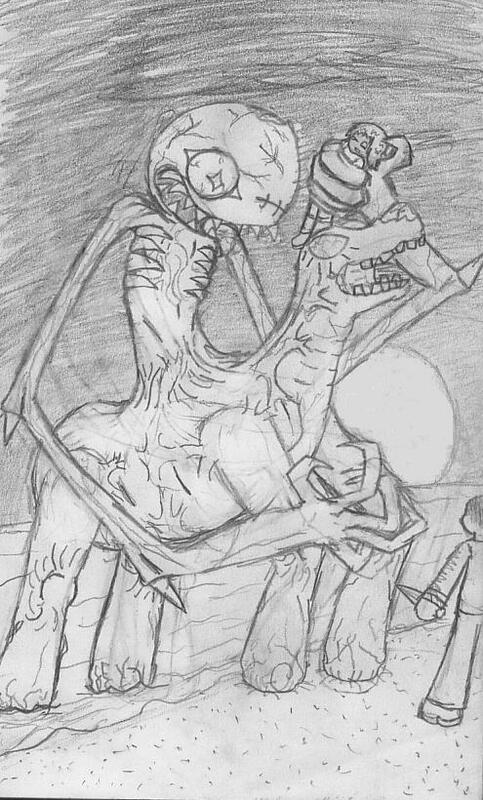 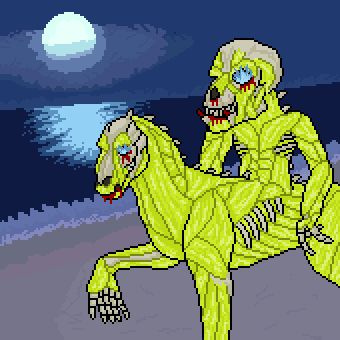 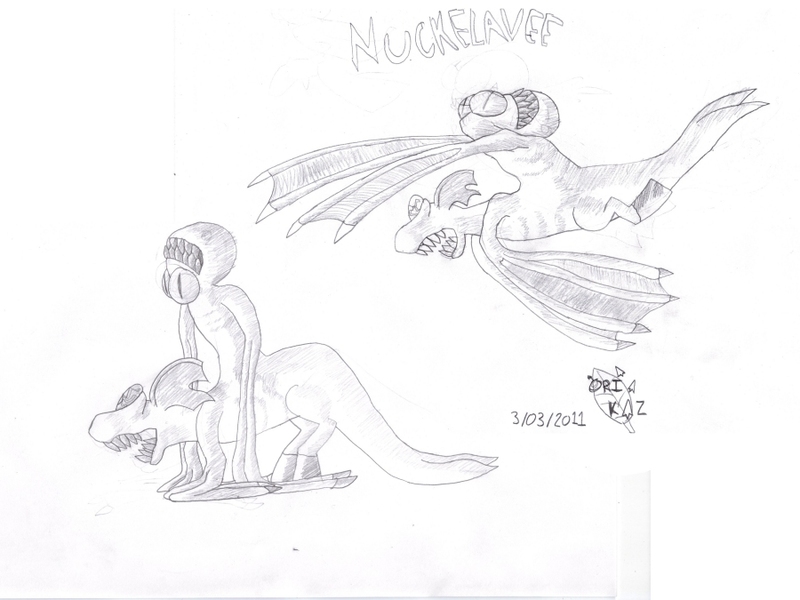 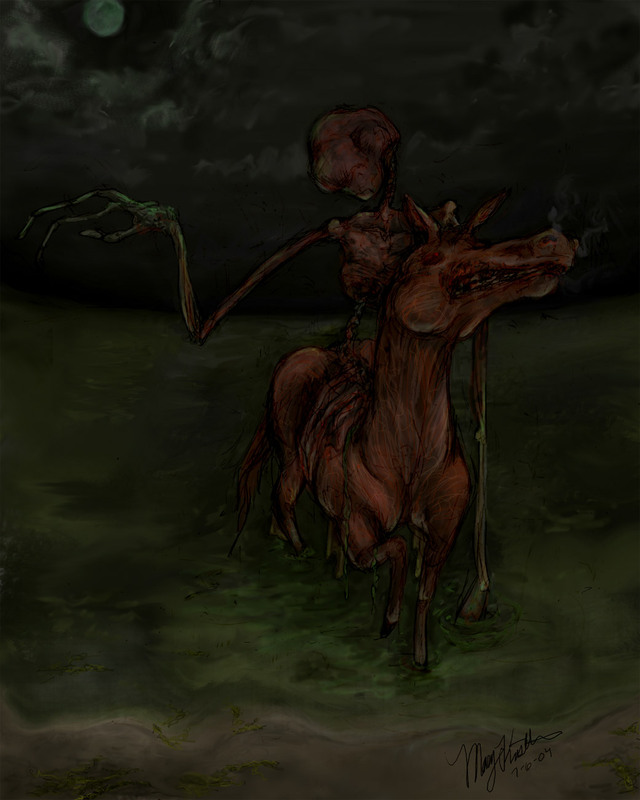 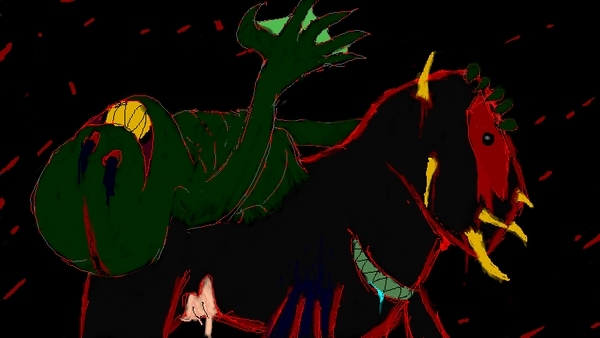 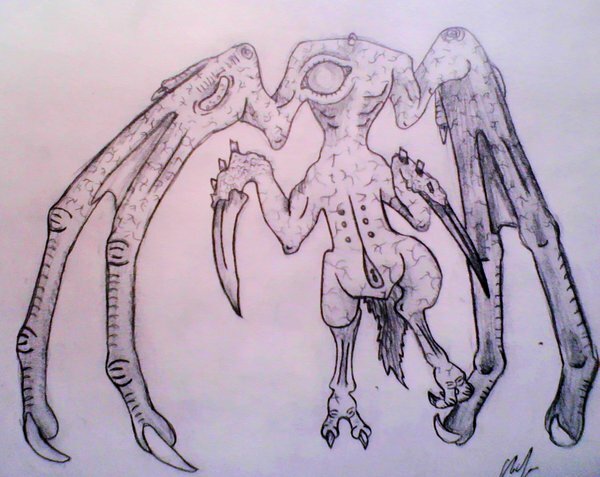 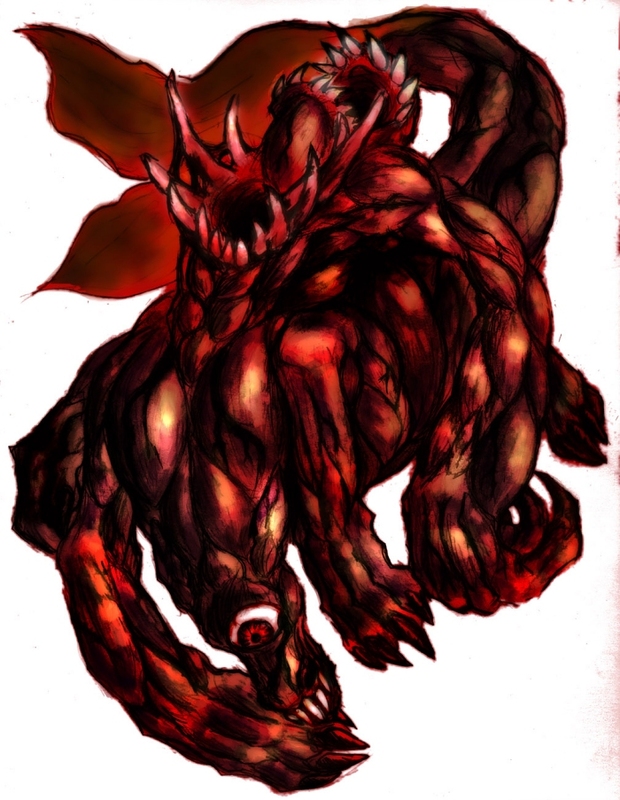 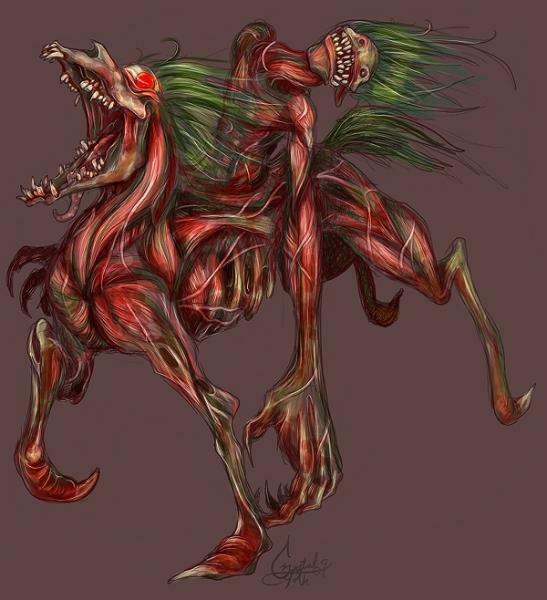 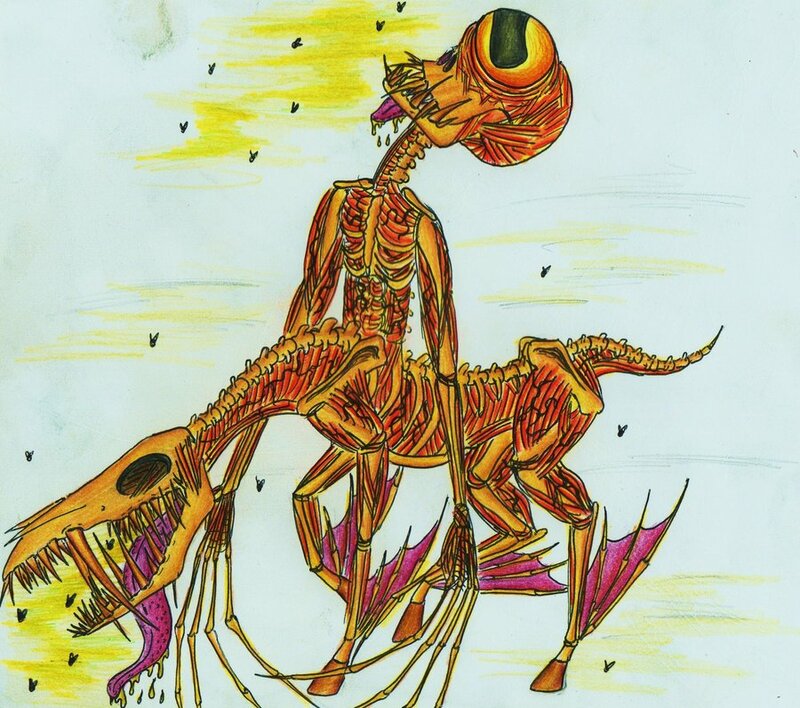 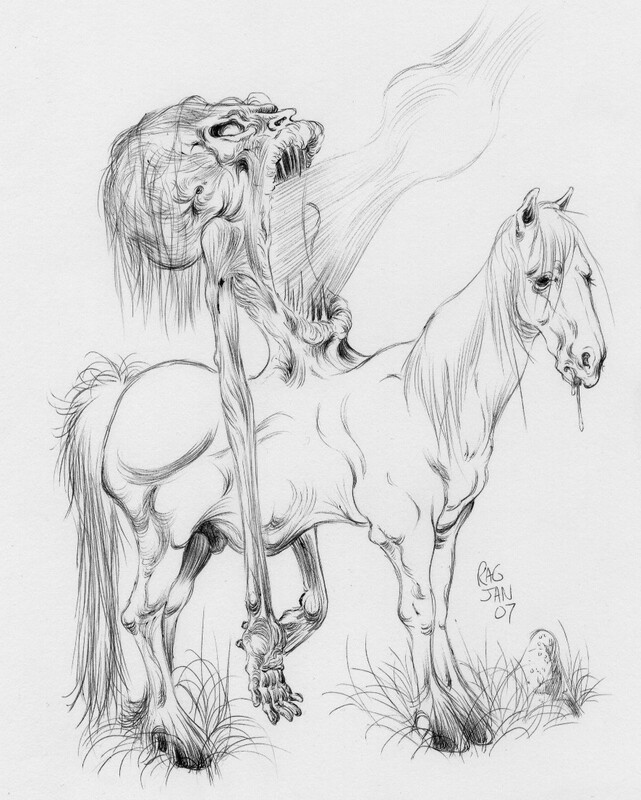 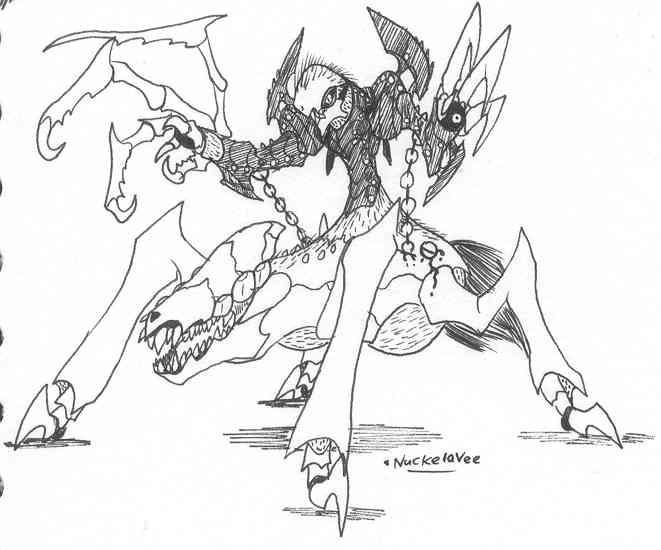 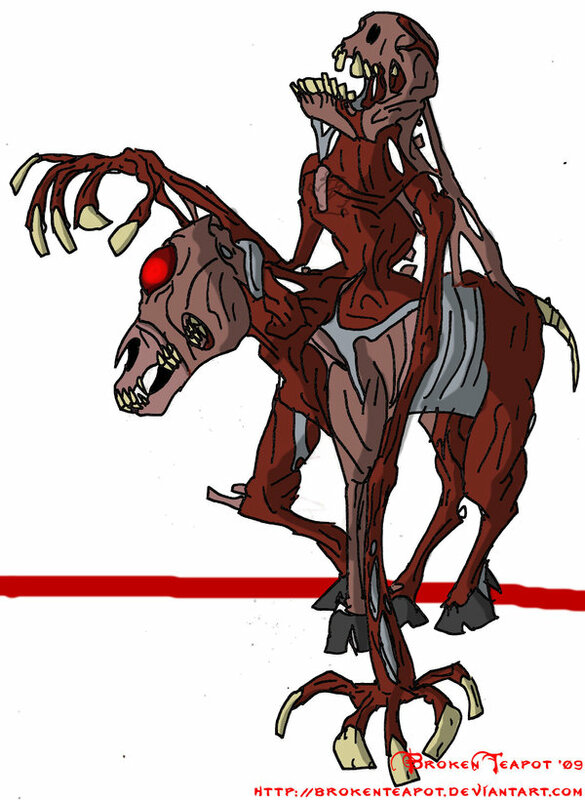 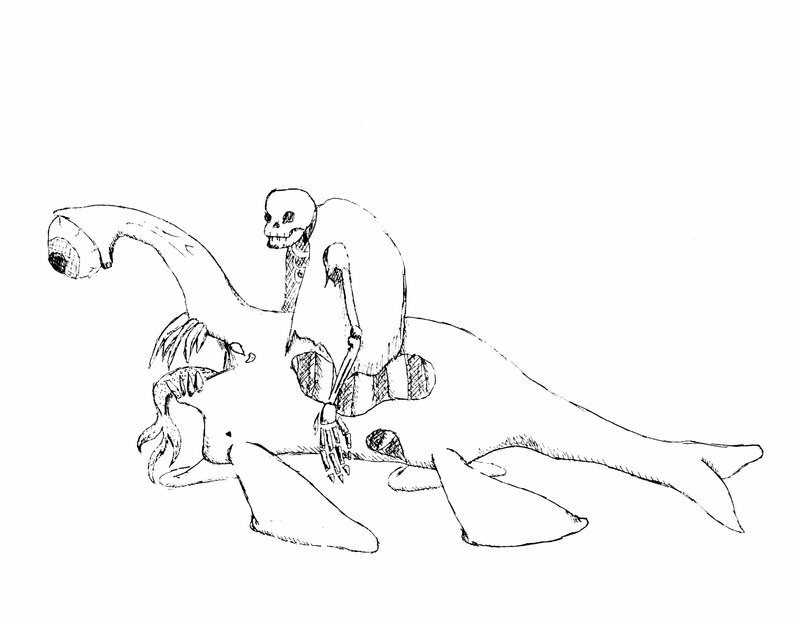 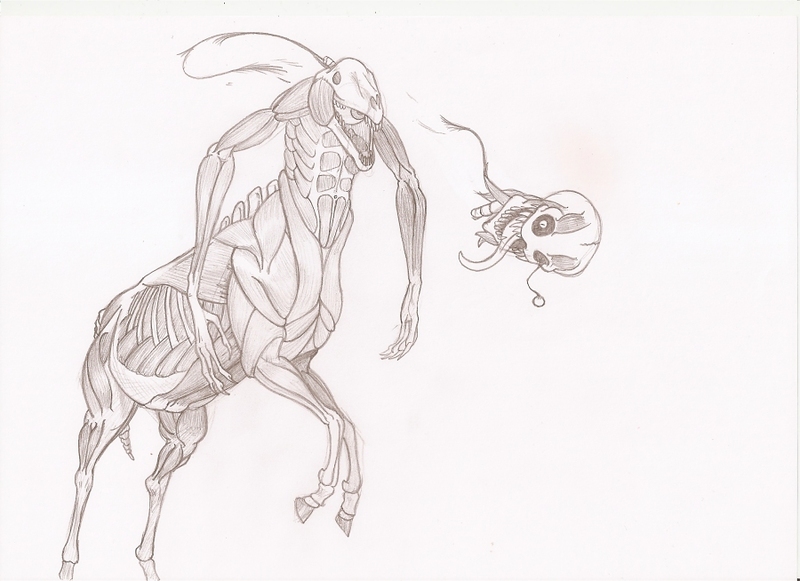 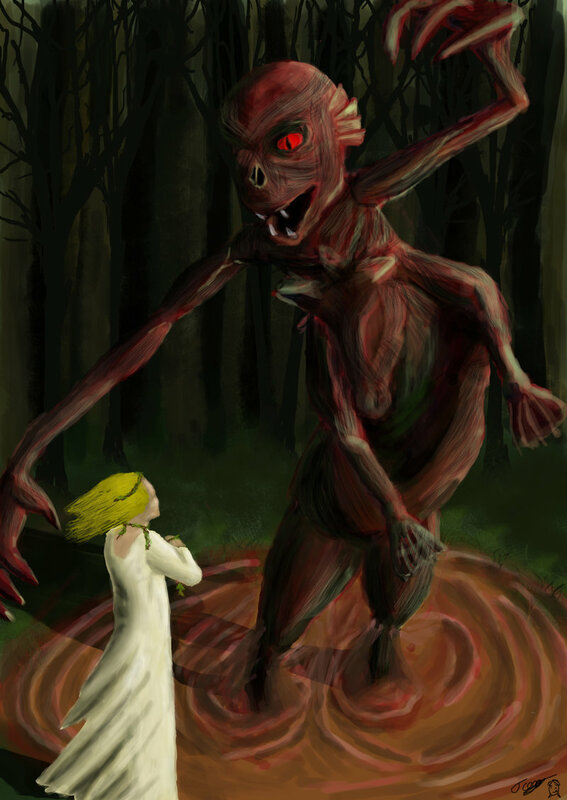 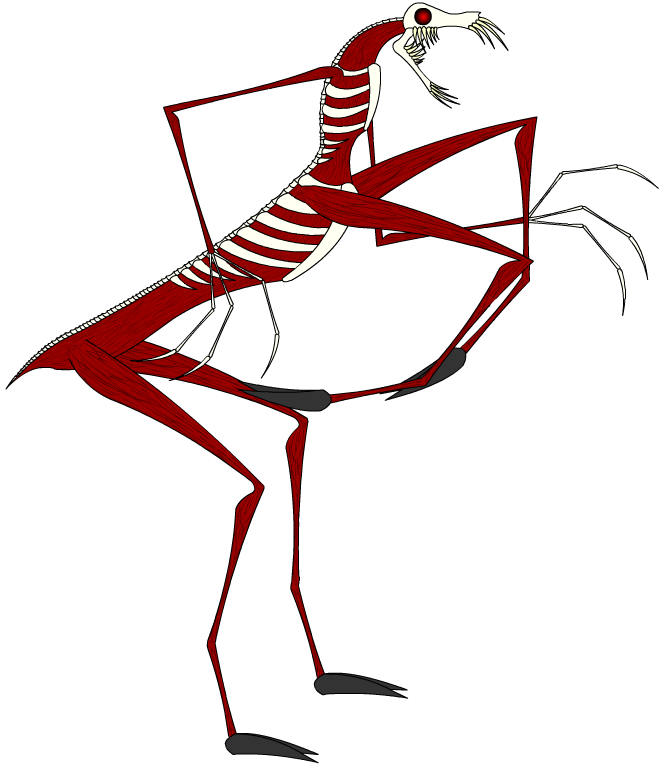 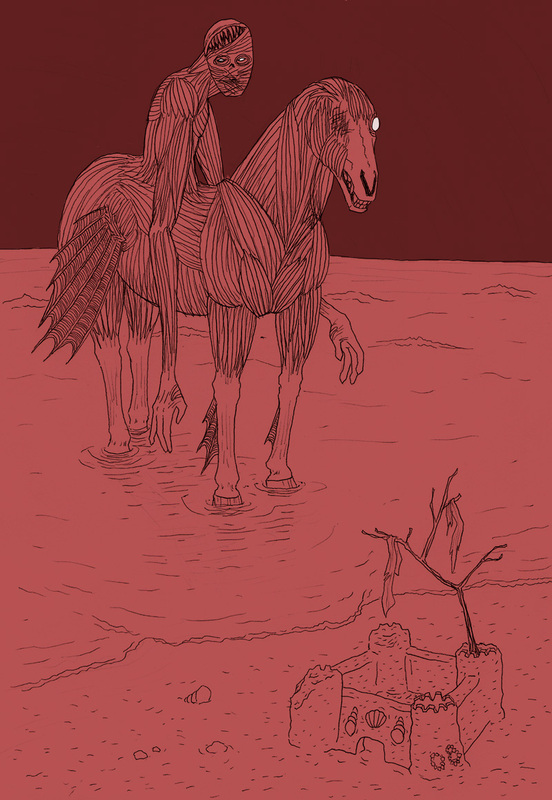 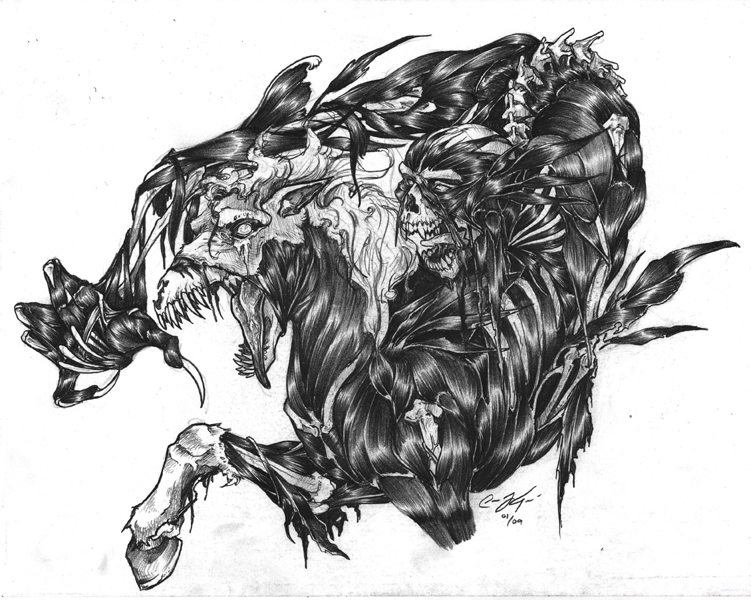 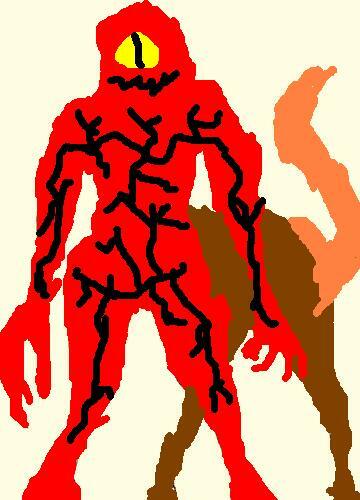 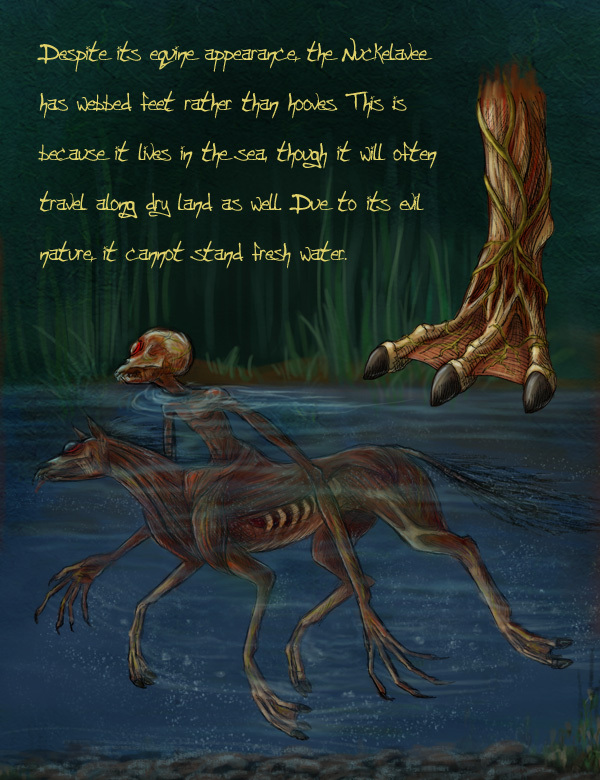 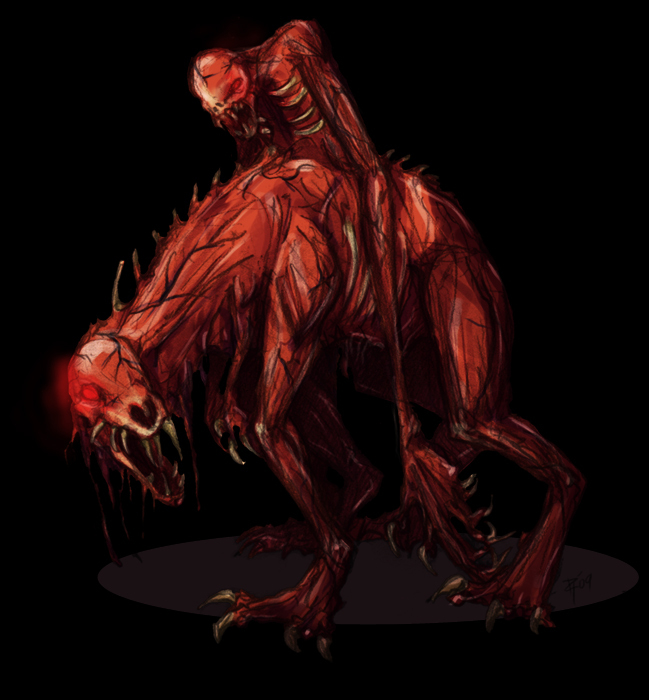 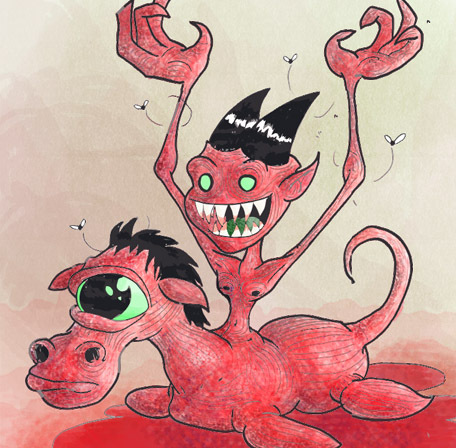 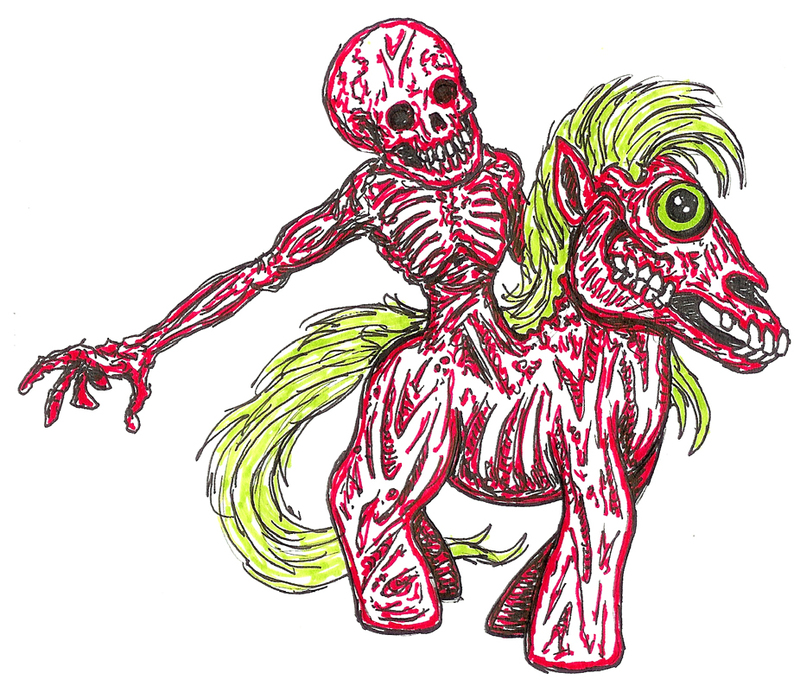 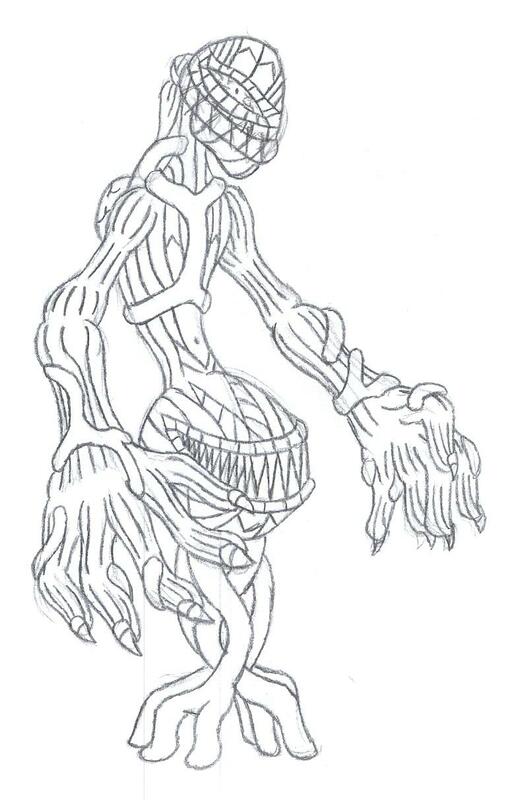 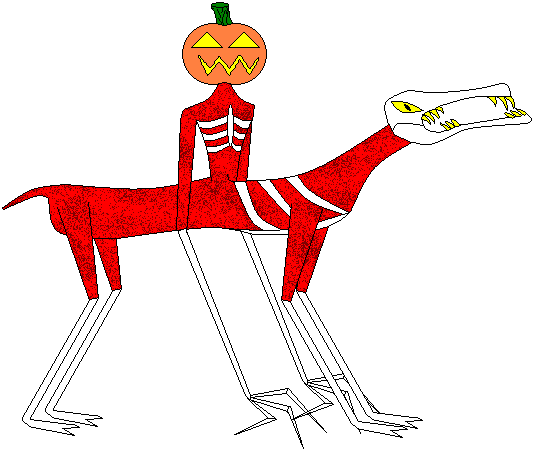 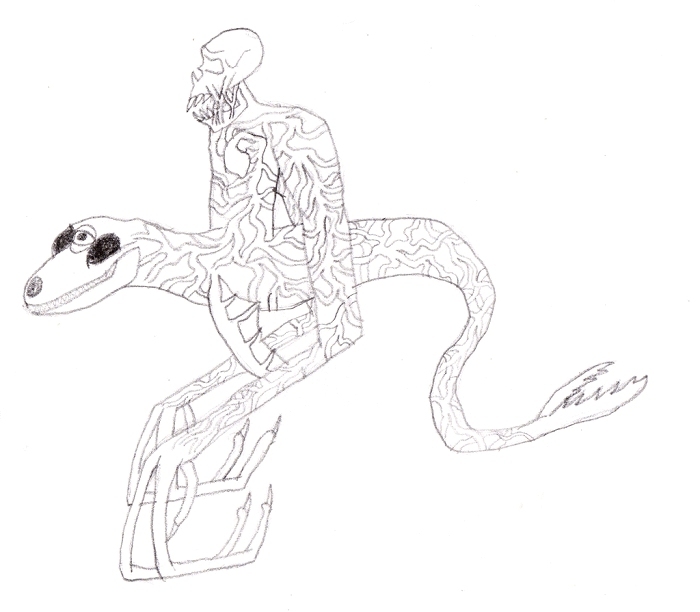 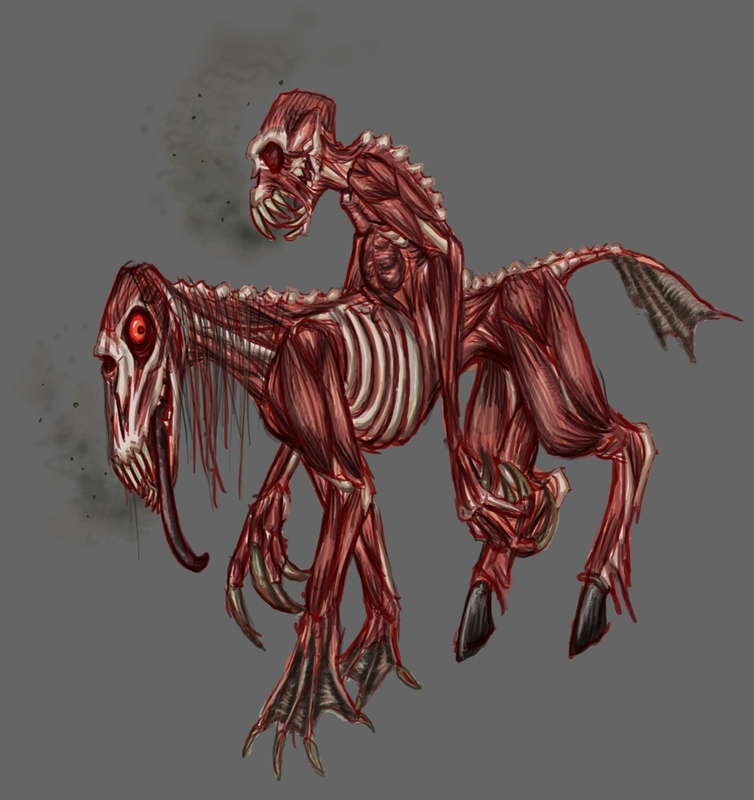 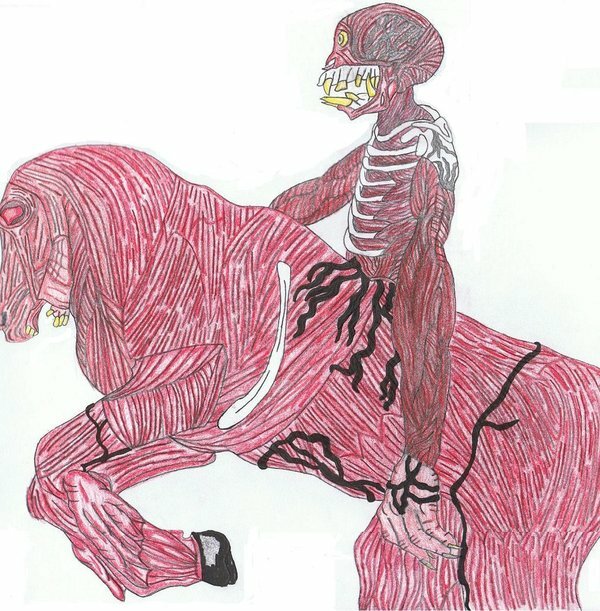 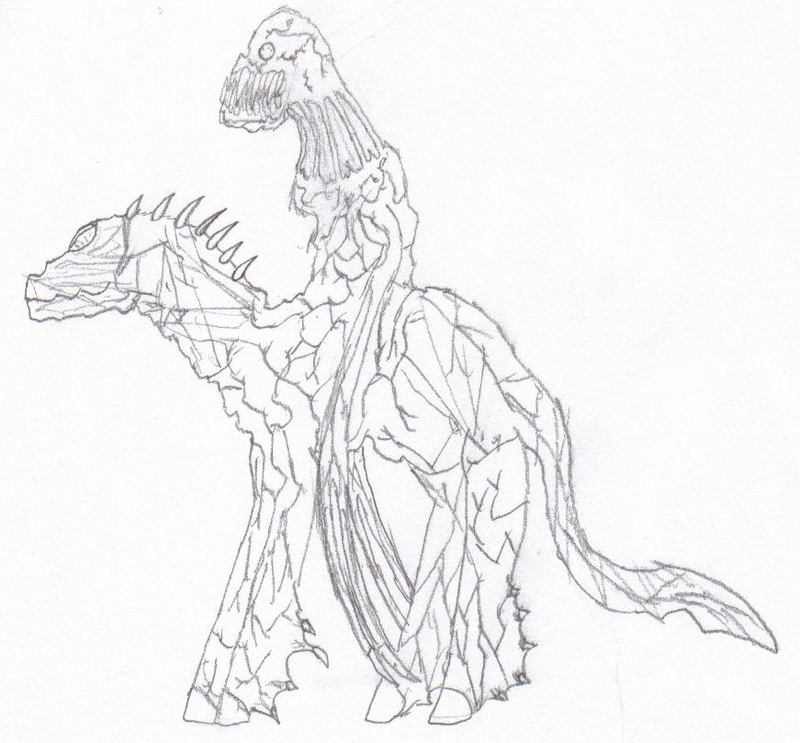 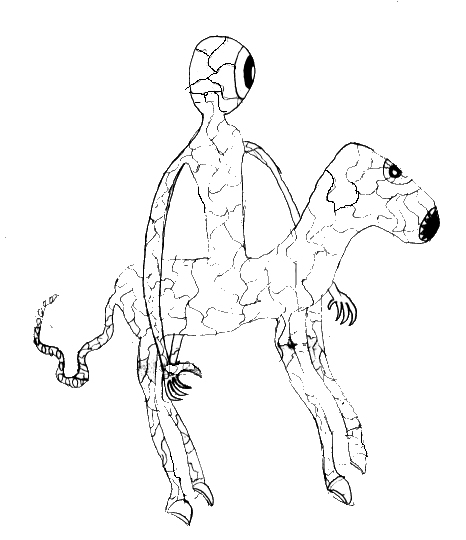 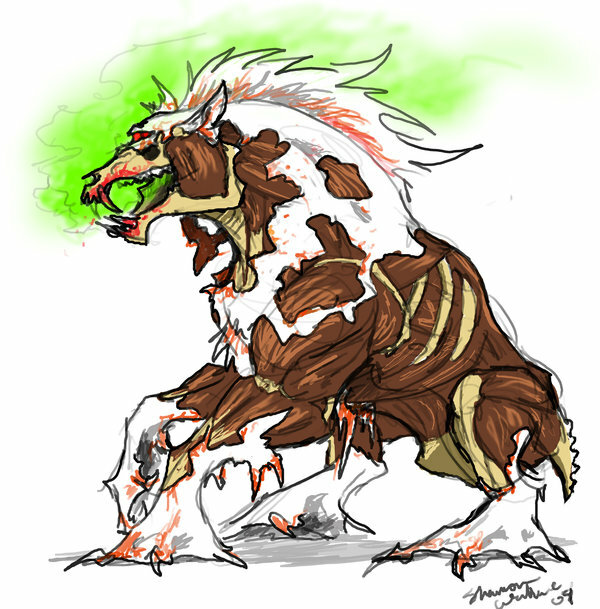 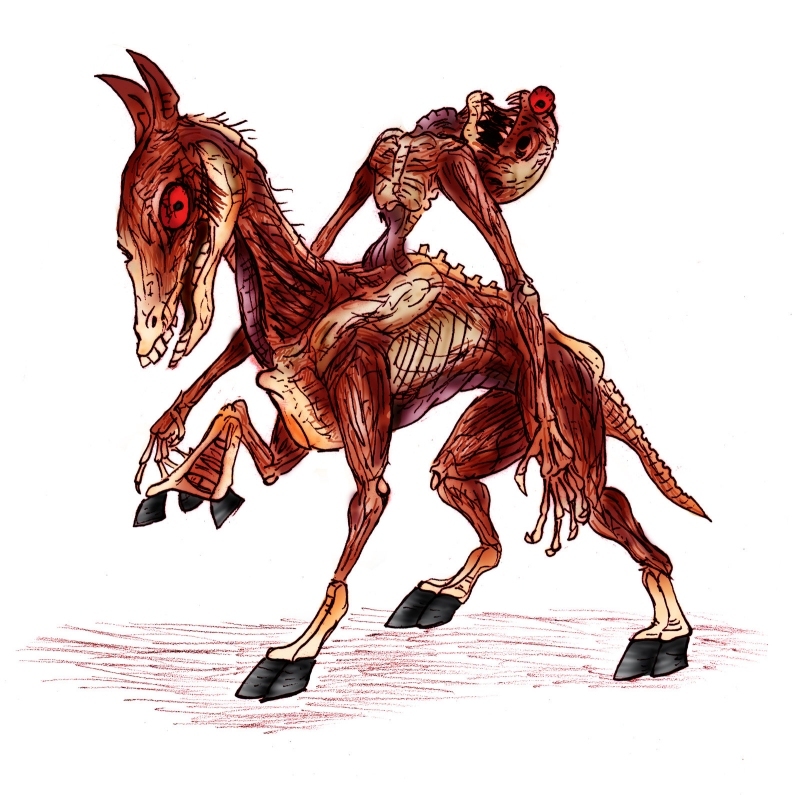 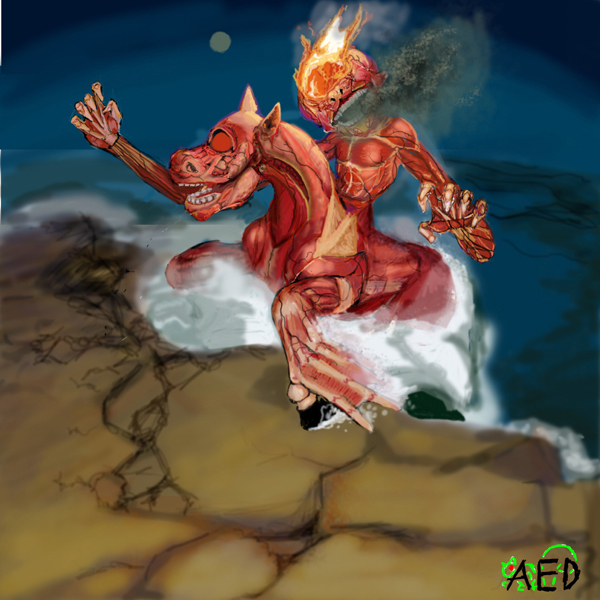 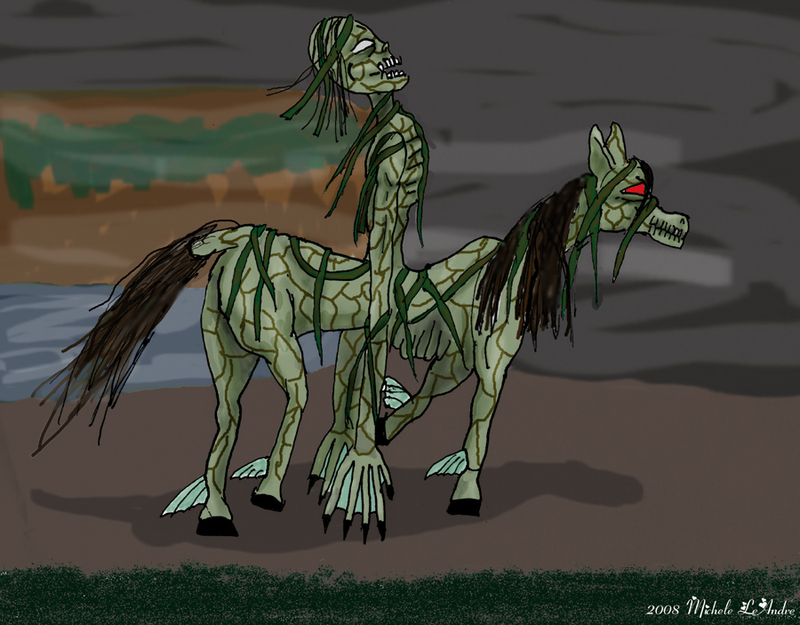 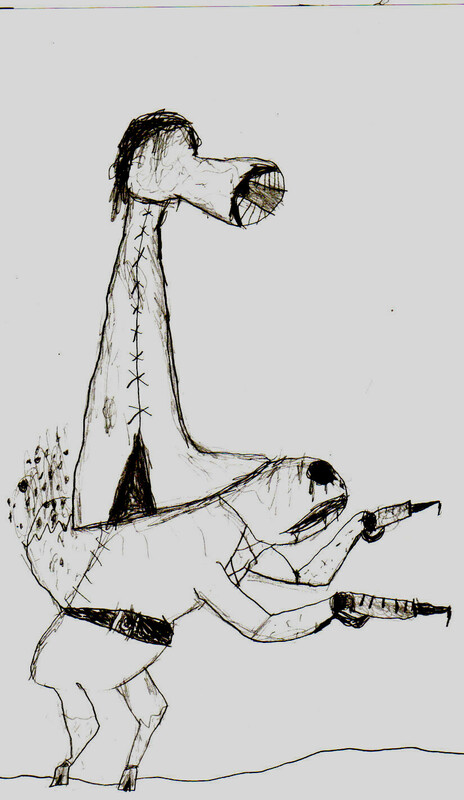 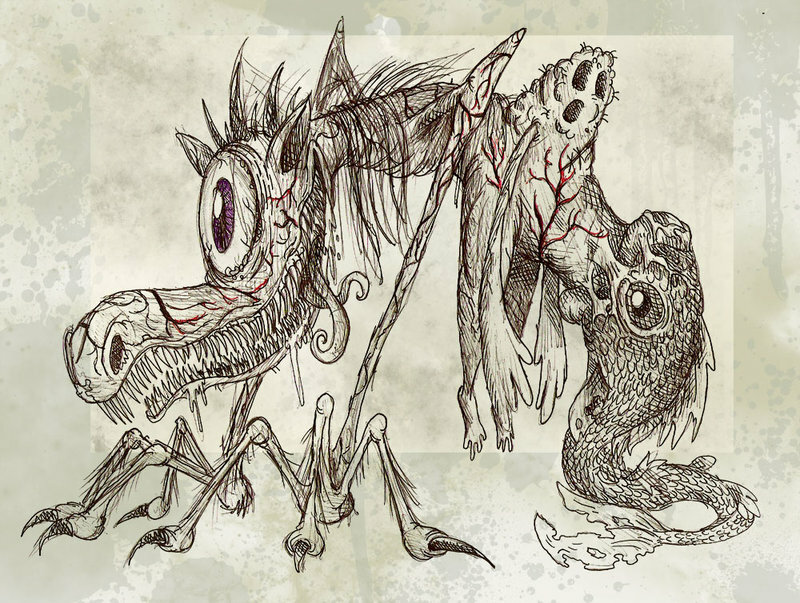 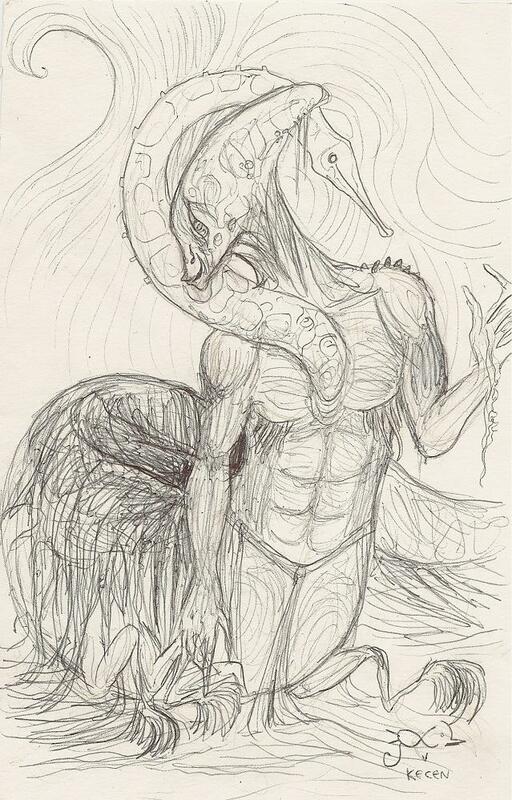 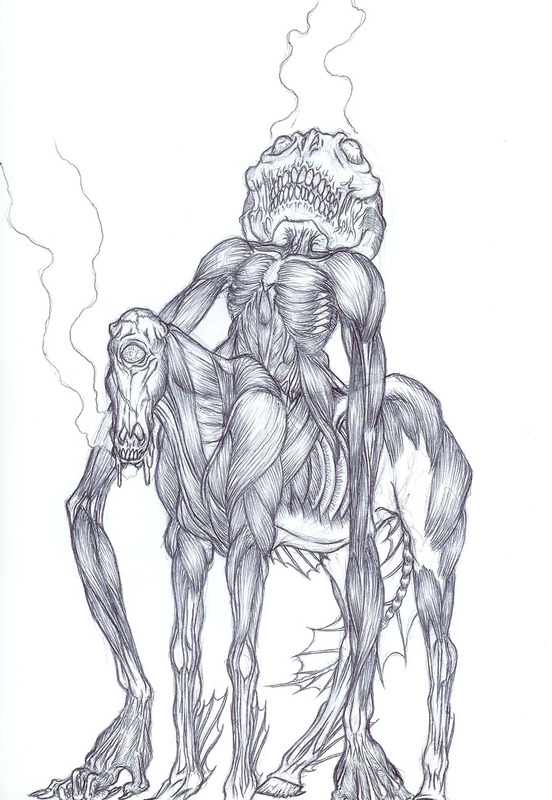 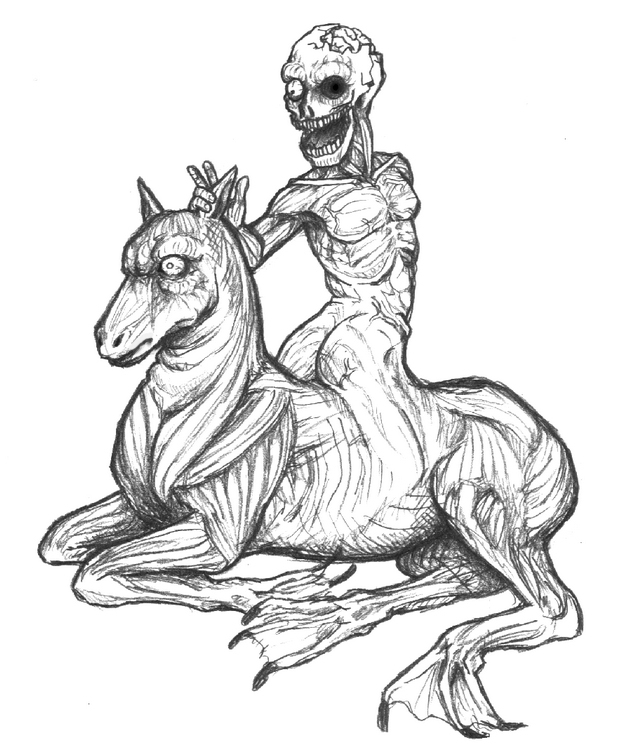 interpretations of the Nuckelavee for the first in hopefully a series of collaborative art galleries. 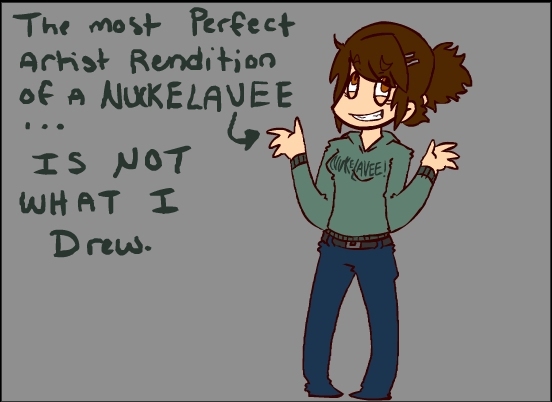 too late to send in your own!